You might remember last fall when I made Baked Cinnamon Sugar Donuts and attempted to make my own donut pans from foil. While those worked and did the job, I wasn’t in a big rush to do it again since it is a bit more work than just using a donut pan. This year one of my housemates has donut pans, so I was able to use them and try to make a new kind of donut! 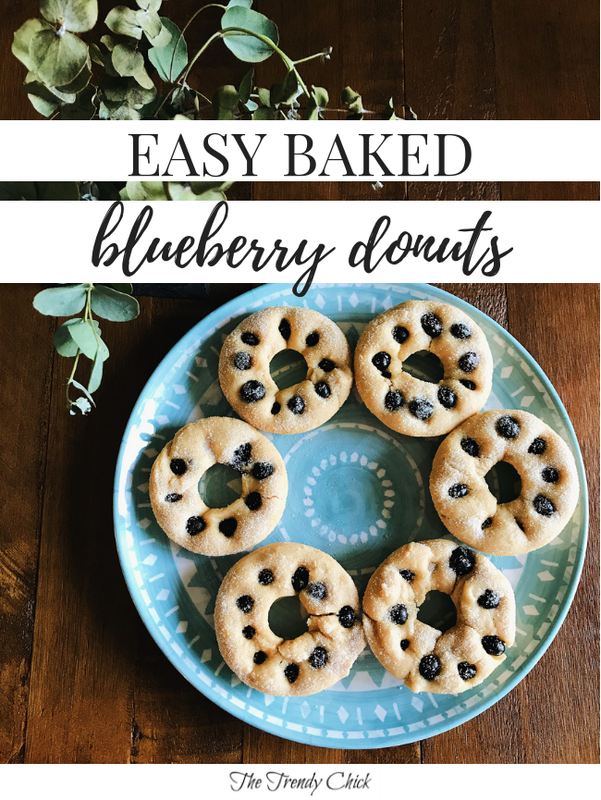 A few weeks ago I had some blueberries that I wanted to use up, so I decided to get a little creative and make these blueberry donuts. I shared on my Instagram stories as I was making them and in the end asked if you guys wanted to see a full post on the blog including the recipe. I got all yes’s in the poll (so kind that those of you who didn’t want it just didn’t vote 😉 ) so I wanted to keep that promise and post it! Combine first 5 ingredients, and set aside. Set aside your blueberries for now too. Grease a donut pan OR mini muffin pan, and preheat oven to 350 F. Combine the dry ingredients in a separate bowl and pour the wet ingredients into the dry ingredients bowl once the over is preheated. Stir until the batter is evenly mixed, but don’t overmix. Either stir the blueberries in very carefully so they don’t break and turn everything purple, or press them in after portioning the batter into the pan. Bake 10-12 minutes or until donuts have risen and batter is no longer wet. Let sit 5 minutes before removing from the pan. After they have been removed, you can dip them into a bowl with your 1/2 cup of sugar to get them sugar coated, or add a glaze on top! It is such a simple recipe that only took a few minutes to make. One tip I have is to get a sandwich bag and fill it with the batter. Cut a bottom corner off and use it to squeeze the batter easily into the donut pan. It makes them look so much prettier than trying to spoon them in and it is just a lot easier! Do you ever make homemade donuts? Tell me in the comments!